Sometimes opportunities just present their self, other times, you have to work for them. On this shoot we had a nice mix of both. 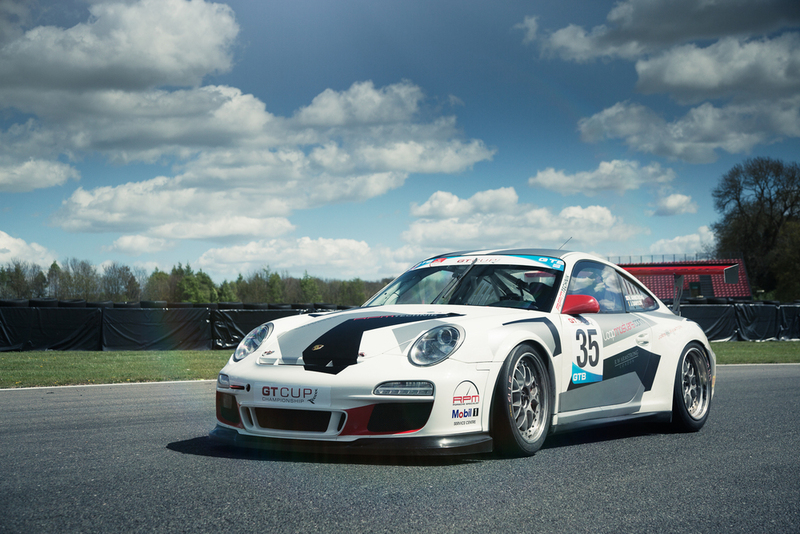 A few months ago I spotted RPM Technik’s 911 GT cup 911 race car and knew it would make a great subject to shoot. Having met the guys down there a few times (you may remember the 962 shoot we did) I fired over an email to see if we could come up with a plan. That all sounds easy right? Like the first part of the intro… well, this is where the work comes in. We knew that we wanted something different from the 962 shoot, the 962 was retired now and suited the indoor location, but the 911 is 100% driving machine so we knew it had to be shot in motion. I was put in touch with Ollie, the man with more technical knowledge than a library of Haynes manuals. He is the man responsible for keeping the GT car in top mechanical condition, when we met up to chat over the shoot, the guy gave me the strongest coffee this side of Turkey; handy really as I had a lot of planning to do after that meeting!. Chatting with Ollie about the shoot plan I had it dawned on me that the plan would have to change, Originally I wanted to bring the car out to the fantastic driving roads around the showroom of RPM and capture the car in the dappled sunlight of the tree covered B roads, as it turns out race car engines like this are so finely tuned that after each race/ drive some parts need to be replaced. With race season approaching that wasn’t going to be possible. That gave us one realistic option, Shoot on the track on one of the race or test days the car would be attending so as not to use up too much of the running time this car has per maintenance session. 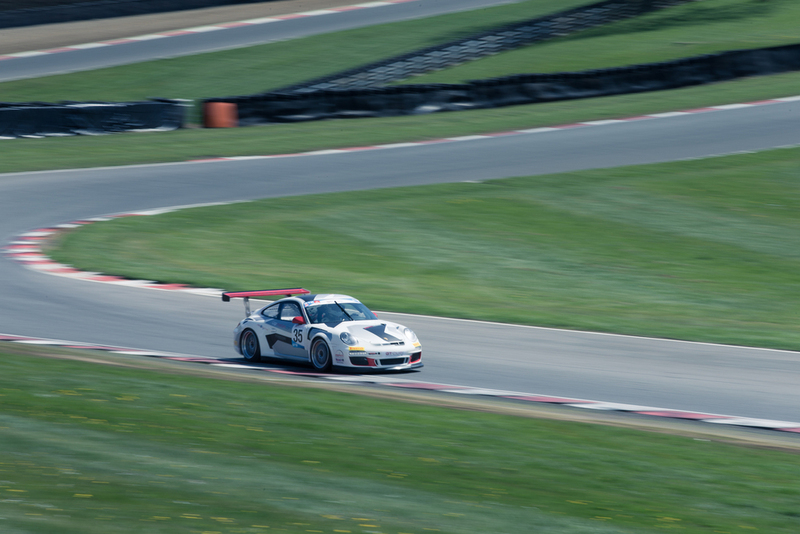 The one that worked best for us was Brands Hatch raceway at the end of April, so with that in mind we set about getting track access. 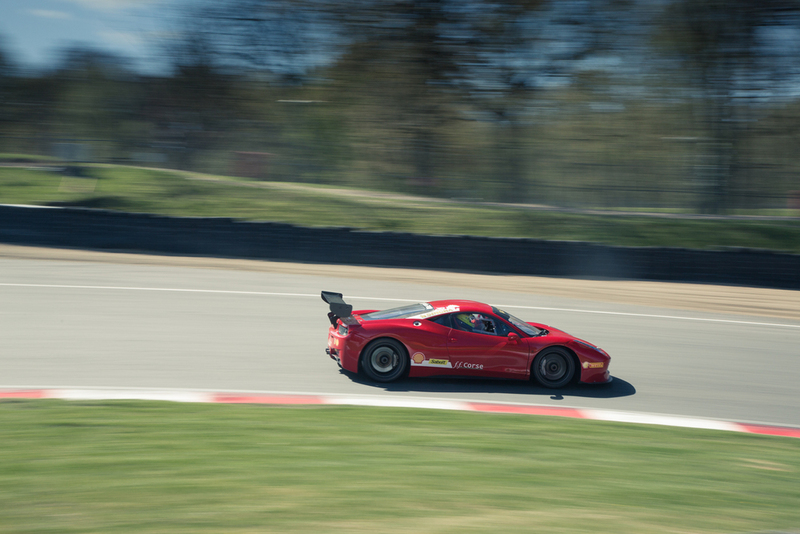 We were very lucky and the team over at RMA Trackdays granted us access to the track (we later had to confirm with Brands hatch race track, and the safety staff on the day but they were very helpful and gave us as much time as possible without impacting the other attendees days). Flash forward to the shoot day, and we were in luck. The sun was shining as we headed over the dartford crossing and towards the track. When we arrived we were greeted with a petrolheads dream of Porsche and Ferrari race cars on track, along with some beautiful classic Astons and exotic metal, that’s not even mentioning the lovely machinery in the paddock too. Insurance checked, Track scouted and location picked. Now all we had to do was wait for the track closure over lunch. We headed up to the RPM garage around half an hour before the lunch break, to finalize the plan with Ollie who would be driving the car for us today, while the race drivers refueled their selves. This is where the part of opportunities presenting their self comes into play. As we prepped the kit for the shoot (kit info at the bottom of this post) a fellow racer came over to chat, Ollie mentioned he had a nice car we may like to shoot. We were introduced to Joe and he gave us what an option of his Bright yellow 911 GT3 or his subtle, original numbers 1970 911 2.2S. I’ve always been a fan of the classics, and the subtle lines of the 2.2S would compliment the GTcup racer nicely in the images so that was set, the Classic it was. Its safe to say that wasn’t the worst decision I’ve ever had to make! We’d decided to shoot either on Druids, or on Graham Hill bend for the static shots, and for the other shots we would use the drive round to the location on track for the movement shots. The sun was high and bright so the decision was made to head to Graham Hill bend for the shots as the light was cleaner with no trees or gantries to give us harsh mid day shadows. I would be shooting out of the boot of my diesel A3 with my assistant Alex driving. Knowing we needed to keep the cars cool I asked Ollie what speed would be good for the cars to drive round to the location so I could get my settings dialled in…. his answer “Flat out”…good job I have a turbo diesel then! We had a limited time of just over 40 mins before we had to be clear of the track for the afternoons racing, down the pit straight and following the track we shot a selection of images of the cars following my car, shooting between giving hand signals to position the two Porsche’s and shouting instructions to my assistant to give us the best position to get the shot and remain safe. At the shoot location we worked quickly, getting as many shots off our shoot list as possible before our deadline was reached and we had to be back at the pits. I was firing off shots, Alex was unpacking kit and repacking as it was needed while Joe and Ollie looked after the positioning of their cars and also helped push for the rig shot (Thanks Joe!). Then back into the boot of the Audi to finish more tracking shots around the rest of the track to make the most of the access we had. It was tight, but we were safely off track without holding up the afternoons sessions and we had a nice selection of images. And that’s it, lots of planning, a little bit of luck, some cool guys, some great help and a bright summer day helped create the images you see here. and everyone on the track day who gave us some great driving to watch. We also shot on the 1Dx and 70-200 when watching the track action in the morning, some images from that are below, along with some from the 5Diii and 24-105. It was decided to use the 5Diii over the 1Dx for the tracking shots opting for the higher resolution, as with the shutter speeds we were using the extra FPS of the 1Dx wouldn’t have come into play.